The Tennessee Titans had yet another rough season in which they could’ve turned their year around, but didn’t and missed the playoffs yet again. As if missing the playoffs after a promising start the year wasn’t bad enough, the Titans lost their starting quarterback Vince Young after a rift with head coach Jeff Fisher. As a result of the rift, Young did play another game and Fisher’s job security seemed to be in jeopardy. With Fisher’s 16 years in Tennessee and being the longest tenured head coach in the NFL, most people believed that it was the end of Vince Young in Tennessee. Super Bowl SUNDAY! Click Here to get an account and Bet on IT! Ironically enough, that hasn’t been the case as the complete opposite has happen as head coach Jeff Fisher and the Tennessee Titans franchise decided to part ways. There is no question that this was a nice way to get rid of the head coach instead of just firing him, but Vince Young’s fate is still up in the air. A lot people believed that Young would just get released from the Titans, but that didn’t happen as it seems the team has been weighing the options. 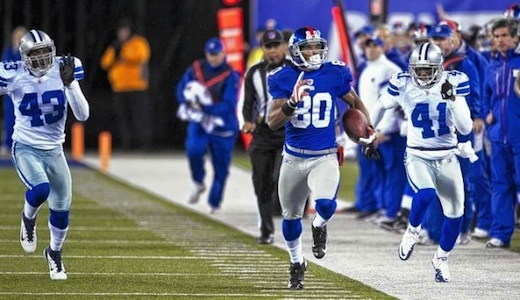 As of right now, Tennessee is actively pursuing a trade to send their former face of the franchise elsewhere. With Young having a pretty good career statistics and a winning record when under center, there will be a lot of teams around the league that might look into making a deal for the troubled quarterback. One of the places that might look into acquiring the former Texas standout is the Houston Texans. Obviously, with Matt Schaub under center the Texans seem to be pretty solid at their starting quarterback position, but with Schaub being somewhat injury prone, they might reach out to the Titans for Young. 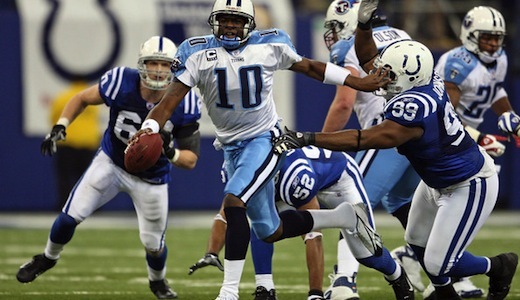 With the former Texas Longhorns quarterback being a hero in the state of Texas, Vince Young would love to return to his home state, but whether or not a deal gets down between the Titans and the Texans remains to be seen. Bet the NFL Super Bowl at Bodog – CLICK HERE NOW! Along with the Houston Texans, the Minnesota Vikings, Miami Dolphins, Arizona Cardinals and Buffalo Bills have also shown interest in Vince Young. One of the most intriguing teams of the five is the Minnesota Vikings. With the recent retirement of Brett Favre and the offensive firepower of the Vikings with players like running back Adrian Peterson and wide receivers Percy Harvin and Sidney Rice, Vince Young would seemingly be the perfect fit in Minnesota. So in my opinion, the Minnesota Vikings should go after him as they could become a playoff team once again next season by giving up some draft picks. It will be interesting to see where Vince Young goes next season, but I wouldn’t be surprised to see him under center for the Vikings. Heading into this NFL regular-season, the New England Patriots were sure we’ll kind of hopeful team they would have as their offense was filled with aging veterans and the defense would young unproven players. This obviously showed signs of possibly the beginning of a rebuilding process for head coach Bill Belichick’s squad and after the first few games of the season, that seem to be the case as the patriots looked like they wouldn’t be able to compete with the best of the best in the NFL any longer. Fortunately for Tom Brady and company, they were able to turn things around very quickly and become arguably the best teams only once again. Not only was the young defense start a step up their game, but the offense was looking eerily similar to the one back in 2007 where the New England Patriots almost pulled off the perfect season. Only 2 Days Left till the Super Bowl! Click Here to get an account and Bet on IT! Along with players like Danny Woodhead and Wes Welker stepping up their game, Tom Brady was having a career season as he looked near unstoppable in the pocket. Ironically enough, Brady was having this kind of season in the same year that arguably the best receiver use ever played with was traded away. After the New England Patriots traded future Hall of Fame wide receiver Randy Moss to his former team in the Minnesota Vikings, the offense was thought to be the one thing that would be suffering most as their downfield threat was officially gone. Fortunately, the New England Patriots made a trade shortly after that to reacquire wide receiver Deion Branch from the Seattle Seahawks. Ever since Branch left Foxboro a few years ago, he wasn’t able to get back to form as one always best receivers, but immediately seemed to fall right back into place once he rejoined the Patriots. Not only was this a giant boost for the Patriots’ offense, but Tom Brady was given one more weapon that seem to be the final piece to the puzzle for New England team that was looking to go deep in the playoffs. Unfortunately, despite only losing two games throughout the regular season, the New England Patriots fell to the arch rival New York Jets in their first playoff game. This was a surprise to say the least, but it was apparent that this potent offense just couldn’t hang lockdown defense of the Jets. Even though it was disappointing to see the patriots get knocked out as early as they did, the season was a success and something to build on moving forward. Finishing the year with 3,900 passing yards, 38 passing touchdowns and just four interceptions, Tom Brady has been given the Offensive Player of the Year award. No other plan the National Football League this season was worthy of this award. Michael Vick of the Philadelphia Eagle had a good year and was able to resurrect his career, but in comparison to Tom Brady he didn’t deserve to win this one. These days the videogame industry is amongst some of the biggest moneymaking industries in the world today. Along with cashing in with first-person shooter games like Call of Duty: Black Ops, videogame industries also extremely profitable sports franchises with games like FIFA 11 (international soccer), NBA 2K11 (basketball) and Madden 11 (football). The FIFA franchise is arguably the most popular as it is international and soccer being the most popular sport in the world, but a close second is the Madden franchise which is so popular that no other football game comes close to competing with it every single year. Only 3 Days Left till the Super Bowl! Click Here to get an account and Bet on IT! So as it’s done every year, a simulated game is played between the two Super Bowl teams. This year obviously it is the Green Bay Packers against the Pittsburgh Steelers, but even though the Packers may be favored in the point spread, the Steelers won the simulated game 24-20. Ironically enough, the over/under for this game is 44 points, which is exactly the score of this Madden 11 simulated Super Bowl between the Packers and the Steelers. In my opinion, Super Bowl XLV will be an extremely close football game from start to finish as these two lockdown defense is will be battling it out to contain the likes of two-time Super Bowl champion quarterback Ben Roethlisberger and perennial Pro Bowler Aaron Rodgers. Interestingly enough, even though many people won’t put much stock into a simulated game played in Madden NFL 11, the extremely popular NFL do game has predicted six out of last seven Super Bowl winners. That’s better than most oddsmakers and predictions made by NFL analysts. Personally, I believe Green Bay Packers will cement themselves as arguably one of best teams in the NFL by beating Big Ben and the Pittsburgh Steelers on Super Bowl Sunday, but I do believe it will be an extremely close match dictated by whichever team plays better on the defensive side of the football. The two players to watch out for both teams in the Super Bowl showdown are the two finalists for the defensive player of the year warned this season in the Packers’ Clay Matthews and the Steeler’s Troy Polamalu. Polamalu may have beaten out Matthews in the voting for the defensive player of the year by just two votes, but both former USC Trojans are amongst the best at their positions and will be looking to put on a show on the NFL’s biggest stage at Cowboys Stadium. Even though the defense will be put on a pedestal heading into this showdown between the Steelers and the Packers, I believe the offense will go overlooked and could be the x-factor in this game. So players like Clay Matthews, Charles Woodson, James Harrison and Troy Polamalu might be put in the spotlight on Super Bowl Sunday, Aaron Rodgers and Ben Roethlisberger shouldn’t be underestimated as they are the undisputed leaders of these teams. 1. Redemption for Big Ben. Roethlisberger’s off field behavior has been nothing short of, should we say, active. Twice he has been accused of sexual allegations, though neither of the cases has been filed. NFL Commissioner Roger Goodell suspended him for the first four games of the 2010 season because of personal misconduct. Why root for a guy that women love to hate? It’s like asking, “Why root for Michael Vick after holding events that let dogs tear each other apart?”. Since the cases weren’t filed, you can conclude that the women didn’t have sufficient evidence to bring the cases to court. Maybe Roethlisberger did force the issue, but if that’s the case, why didn’t the girls sue for millions of dollar claiming they were raped? I still give Roethlisberger the benefit of the doubt. The two women weren’t confident enough that they’d win in court. Call me a sexist but those girls were looking for a quick pay out. After coming back from suspension, Roethlisberger has led his team to the Super Bowl. It’s the perfect way to help the city of Pittsburgh accept him again as a person. It’s a step in the right direction. The guy wasn’t even convicted. Vick was and yet we love his comeback story and his road to redemption. Winning and a few highlight reels have won us over. Why can’t a third Super Bowl ring in five years do the same for Roethlisberger? 2. 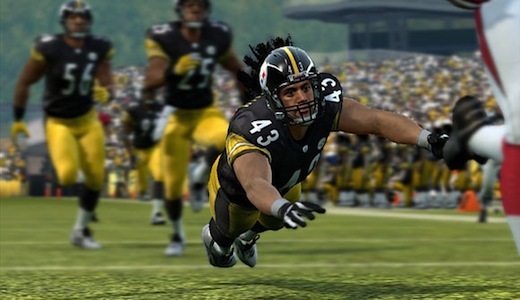 Troy Polamalu. Everything has been said about him, it almost feels like he’s overrated. Stats speak for themselves though. Since the 2005 season, the Steelers have played a total of 106 games – including wild cards, divisional and Super Bowls. 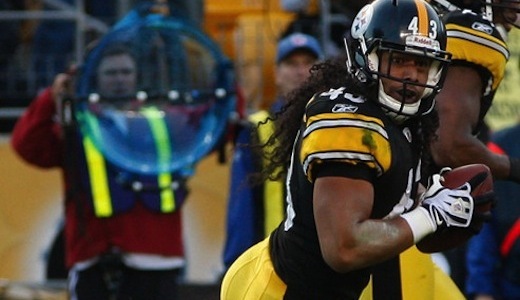 Out of the 106 games, Polamalu has played in 85 of those games. In the 85 games in which he played in, Pittsburgh has won 60 times. That means when Polamalu plays, the Steelers are likely to win 70.60 percent of the time. That’s a higher than Shaq’s free throw percentage. Looks like the hype that comes with the Polamalu effect is justified, after all. 3. Dynasty. 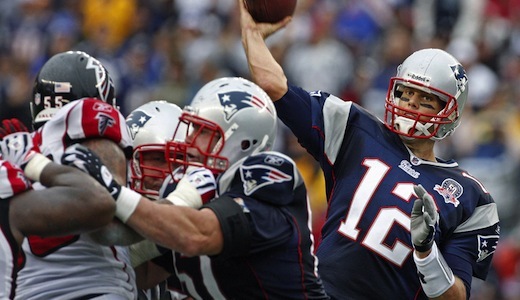 There’s no arguing that the Patriots were the best team in the first part of the decade. 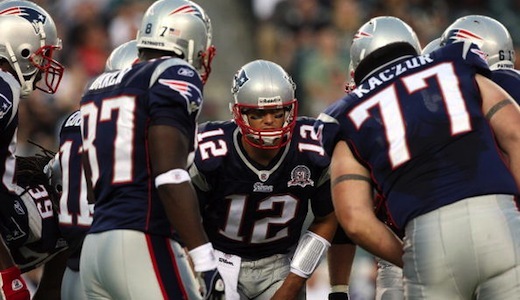 They’ve won three Super Bowls from 2001 – 2005. Now, the Steelers have the chance to do the same in the latter part of the decade. If they beat the Packers, it’ll be their third Super Bowl in the last five years. 4. The supposed underdogs. After surviving the Jets in the conference championship, Las Vegas released odds for the winner of the Super Bowl. It listed Pittsburgh at plus 2.5. I couldn’t believe it at first given that the Steelers have won two of the last five Super Bowls. At the same time, it’s fair because they didn’t impress in the playoffs – winning by just an average of six points. With the unstoppable Aaron Rodgers coming to claim his first championship belt, the Steelers are underdogs. Who doesn’t want to see an underdog hold its own against the most unstoppable force in football right now? The Chicago Bears season is officially over as they were unable to get the best of the arch rival Green Bay Packers in the NFC Championship game. 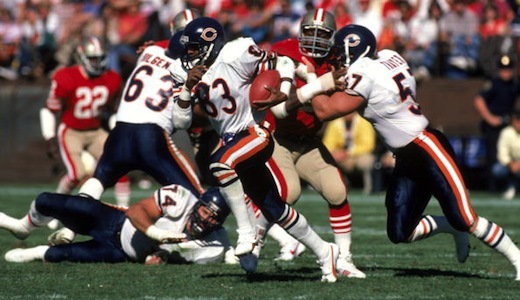 Even though they went home earlier than they wanted to, the Bears had a successful season as a whole and have a NFC North division title to their credit along with a much improved football team moving forward. Unfortunately, despite a very impressive season and being considered one of the better teams in the NFC Conference, the Chicago Bears and quarterback Jay Cutler have gone through a lot of criticism over this past week. 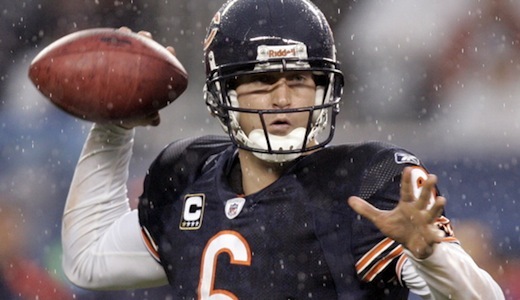 The NFC Championship game was close enough and within reach for the Bears they could’ve easily been the team to advance to Super Bowl XLV, but Jay Cutler’s knee injury seems to be dominating the headlines as many people have started to question the quarterback’s toughness. There’s no question that football is a tough sport in which injuries are common place in almost every single game. When big bodies are colliding all game long and the goal of each player is to basically destroy their opponents physically, injuries are going to happen and happen often. 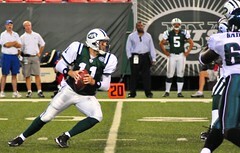 The one position on the football field that does get the most protection is without a doubt the quarterback position. Even though the quarterback has a row of players in front of them to protect him all game long, the quarterback is still going to get hit and thrown to the ground from time after time. Usually, quarterbacks that have made it to the NFL level are pretty tough as they’ve gone through high school and collegiate level and come out on top as the best of the best at the position. Unfortunately, with the exception of maybe Brett Favre, these quarterbacks can take a beating and they sometimes appear to be made of glass as injuries run rampant. In this NFC Championship game against the Green Bay Packers, Jay Cutler was hit and hit often, but no one thought from the look on his face that is apparent knee injury was all that serious. Well, just a day later we find out that he suffered a sprained MCL in that knee and wasn’t allowed to get back on the field. Using a player like three-time NFL MVP Brett Favre as an example, the quarterback should always be on the football field regardless of injury, but few players have the desire that the future Hall of Famer has and therefore are subject to be judged in terms of toughness. Until Jay Cutler becomes a Super Bowl champion or the best quarterback in the league, he will most likely not be able to shake his questionable toughness. This is unfortunate, but at the same time, this is football. 1. The real underdogs. 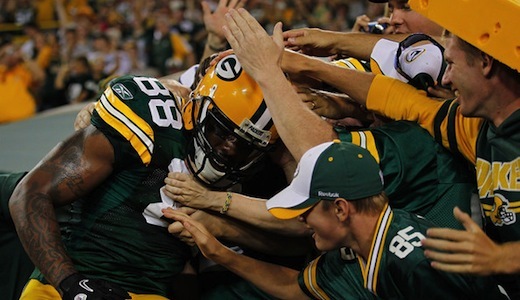 The Packers are the real underdogs of Super Bowl XLV. Aaron Rodgers is clearly in the zone right now, but he lacks experience. Prior to this year he played in only one playoff game. Their secondary is young with Sam Shields and Tramon Williams. It can’t be denied that they’re talented, but the veteran savvy of Hines Ward and Heath Miller will give them trouble. It’s easy to root for underdogs because people just love a heartfelt story. It’ll also signal the beginning of a new era with Rodgers under the center. Only 5 Days Left till the Super Bowl! Click Here to get an account and Bet on IT! If the Steelers win their third, they’ll be the new New England Patriots – meaning that they’ll be hated because they win too much. Much like Jeff Gordon was hated when he was invincible on the track. It’s time for change and a new dynasty. 2. Tired of Tom Brady and Peyton Manning. Both of these guys always get the credit. Whether it’s shooting commercials, signing big contracts or having supermodel wife, they both have it made. Their legacy won’t be tarnished even with their recent playoff failures because they have rings. It’s time though that we talk about other quarterbacks. Rodgers is a breath of fresh air. He is young and isn’t a conventional pocket passer. He takes risks. That’s what makes him exciting to watch. There’s also a cockiness about him. And you got to love his championship belt celebration. It shows how bad he wants to win a ring or, in his case, a hypothetical belt. 3. 13-year Super Bowl appearance drought. It’s easier to root for a team that is a long shot to win the Super Bowl, despite what the Vegas odds say. Brett Favre led them to the Promised Land 13 years ago and failed to leave with a second consecutive ring. 4. Aaron Rodgers. It’s been quite a journey for Rodgers. He was projected to be a lottery pick in the 2005 draft. Instead, he dropped all the way to 24th before Green Bay scooped him up. Boy, San Francisco must want a do-over because they drafted Alex Smith with the first pick in the 2005 draft. The NFL has a lot of big name quarterbacks in the league today that could ultimately go down as some of the greatest QB’s of all-time. With quarterbacks like Brett Favre (recently retired), Tom Brady (New England Patriots), Ben Roethlisberger (Pittsburgh Steelers), Michael Vick (Philadelphia Eagles), Matt Ryan (Atlanta Falcons) and Drew Brees (New Orleans Saints) in the league, the debate over who is the best quarterback in the league can be tough from season to season, but I can almost guarantee that the one player on the top of everyone’s list in this debate is the Indianapolis Colts Peyton Manning. With four NFL MVPs and one Super Bowl title, Peyton Manning is arguably one of the most successful quarterbacks in the league today, but he is also one of the most unguardable quarterbacks in the league as he has an uncanny knack of knowing how to dissect even the most dominant defenses in the NFL. This season may have been toughest for the four-time NFL MVP as his receiving corps was severely depleted and banged up with injuries all season long. Even though Peyton didn’t have his favorite target in the Colts offense with tight end Dallas Clark (out for the season), the Indianapolis gunslinger still had an impressive season and was able to lead his team to another AFC South division title. Unfortunately, the Indianapolis Colts were knocked out of the first round of playoffs by the New York Jets, but coming in the next year they will still be a serious force to be reckoned with in the AFC Conference as long as the team can stay healthy. 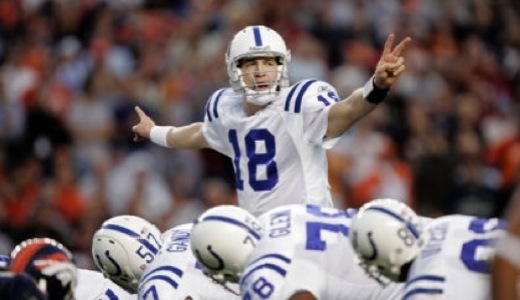 The Indianapolis Colts number one priority during the off-season will be to sign Peyton Manning to a contract extension. There have been talks between Peyton and the Colts throughout the season, but a deal wasn’t set to be done until this off-season. Recently the Indianapolis Colts came out and said that they intend to make Peyton Manning the highest-paid player in the NFL. Obviously, this is a distinction that changes from season to season as the highest-paid player usually has a contract that most big name players in the league try to restructure their own contracts with. Regardless of what other players do after Peyton Manning signs this new contract, the Colts superstar quarterback will become a very rich man during the off-season. A lot of players that do sign these big contracts usually aren’t worth the money they get paid as they never seem to live up to their new deals, but I believe that Peyton Manning will be the exception here as he has been extremely consistent throughout his Hall of Fame caliber career. It is uncertain what moves the Indianapolis Colts will make throughout the off-season to improve their football team, but certainly believe they will be playoff bound once again in the front runner some in the AFC South division next season. Throughout the entire playoffs so far, the Green Bay Packers have been as tough to stop on the offensive side the football than any other team in the playoffs. Being the underdog in their first two playoff games against the Philadelphia Eagles and the Atlanta Falcons has seemingly done nothing but motivate this Green Bay Packers team as they have been just firing on all cylinders on both sides of the football. At the end of the NFL regular season, the Green Bay Packers didn’t even know if they would be able to make it into the playoffs as it took two wins in their last two games to secure a playoff spot. Fortunately, with a win over the New York Giants and over the NFC North division champion Chicago Bears, Aaron Rodgers and company were able to head into the playoffs once again. 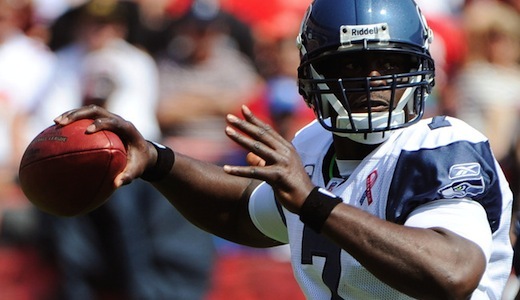 Bet the NFC and AFC Championship Games at Bodog Sportsbook. CLICK HERE NOW! Despite locking up a playoff spot and keeping their season alive, the Green Bay Packers have been a team ravaged by injuries this season and many people weren’t sure what kind of football team would show up in the postseason. Even though they came into the playoffs as underdogs, the Packers have exceeded expectations so far as they were able to dispatch Michael Vick in the Philadelphia Eagles in the first round and take down the number one seed in Atlanta Falcons in the Divisional round. This was a surprise to say the least and some people had the Eagles going all the way the Super Bowl and if they couldn’t do it the Falcons were thought to be the team to take the NFC crown. Ironically enough, the Green Bay Packers now have a legitimate shot to win the NFC conference Championship crown and make it all away the Super Bowl, but they will have to deal with the likes of their arch rivals in the Chicago Bears. Sign up for an Account Now at Bodog Sportsbook – Bet the NFC Championship Game! The biggest storyline coming into this NFC Championship game is the Chicago Bears lockdown defense going up against a high-powered offense of Green Bay Packers. Even though this will be what everyone’s talking about heading into this matchup, the Packers defense may be just as good, if not better, than the Bears. With two of the best defensive players in the league in Clay Matthews and Charles Woodson, the Packers defense can hang with the best offenses in the league. This is what I believe will be the turning point in the game as Clay Matthews will almost certainly put constant pressure on quarterback Jay Cutler all day long. As for the Chicago Bears defense containing the Green Bay Packers offense, they will have the advantage of knowing that the Packers will be going with the passing game opposed to the ground game. That hasn’t been a problem in the first few playoff matchups for Green Bay, but may pose a challenge against Chicago who have both Julius peppers and Brian Urlacher going after quarterback Aaron Rodgers. This game will no doubt be a battle from start to finish, but I just think the Packers have the better all around team here and should advance to the Super Bowl when it is all said and done. The AFC Conference playoffs has come down to just two teams in the hunt for an appearance in the Super Bowl, but even though the New York Jets and the Pittsburgh Steelers are more than capable of being Super Bowl champions this season, they weren’t the two teams that were anticipated to represent the AFC . Coming into the NFL playoffs, the New England Patriots looked like they had the right pieces of the puzzle to go the distance. With Tom Brady playing like the NFL MVP, which he will probably be awarded soon, and the rest of the Patriots coming together at just the right time, Bill Belichick and company seem poised to win their fourth Super Bowl title. Unfortunately for the Patriots, they underestimated the Jets last weekend as Darrelle Revis and the New York secondary were able to shut down the potent offense of the New England. With the New York Jets dispatching of Peyton Manning and the Indianapolis Colts in the first round and getting the best of Tom Brady and the New England Patriots last weekend, Rex Ryan’s squad have quieted the critics and seem more than capable of advancing to the Super Bowl. As for the Pittsburgh Steelers, they were pretty impressive last weekend in the win against the division rival Baltimore Ravens, but will almost certainly have their work cut out for them this weekend as they face off against a very motivated New York Jets team. Perhaps the most intriguing part of this matchup at Heinz Field this weekend will be lockdown defense of the Pittsburgh Steelers against second-year quarterback Mark Sanchez. Even though Sanchez continues to prove people wrong, this weekend he will have to deal with Troy Polamalu and arguably one of the best defenses in the league. The Steelers defense isn’t as good at stopping the pass as they are at stopping the run (1st in the NFL), but they can still get in the heads of opposing quarterbacks and cause them to throw costly interceptions. In this game, Pittsburgh will almost certainly want to capitalize on the inexperience of Mark Sanchez by forcing them to make bad throws all game long. Fortunately for the Jets, Sanchez might be passed making all his costly mistakes as he played brilliantly last weekend against the New England Patriots with three touchdown passes. Obviously, the former USC standout still has a ways to go before being considered a great NFL quarterback like two-time Super Bowl champion Ben Roethlisberger, but he could take one step closer to being considered an elite QB with a win over the Steelers and a trip to the Super Bowl. As of right now, the Pittsburgh Steelers have been given a -3.5 point edge in this AFC Championship game, but I believe the New York Jets are finally ready to take that next step and compete for a Super Bowl title. Even though these two NFC North teams have only met in the playoffs just once in the past, the Bears and Packers have played each other more times than any two franchises in NFL history. 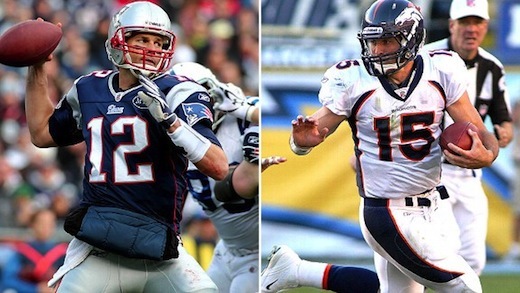 There is no question that there is no love lost between these two bitter rivals as they absolutely want to destroy each other when they go head to head during the regular season, but this time around a Super Bowl appearance is on the line which means this rivalry will be taken up a notch. Along with this NFC Championship game being a showcase of two dominant defenses led by big names like Brian Urlacher (Chicago Bears) and Clay Matthews (Green Bay Packers), the Packers offense will be something to watch as Green Bay’s perennial Pro Bowl quarterback Aaron Rodgers is playing as good, if not better, than any quarterback during these playoffs. Last weekend Rogers put on a show as he just lit up the Atlanta Falcons defense en route to scoring a playoff-high 48 points. Even though the Falcons were the favorites in this Divisional playoff game, the Packers played as if they had nothing to lose and were virtually unstoppable on the offensive side of the football. Although the Chicago Bears are not known for their offense, quarterback Jay Cutler did have perhaps his best game as a Pro with two rushing touchdowns and two passing touchdowns to lead the way in the win over the Seattle Seahawks. Obviously, the Seattle Seahawks defense cannot even be compared to the Green Bay Packers defense, but the confidence factor may come into play as Cutler could be in his stride right now as leader of the Bears. Ultimately, I can’t see the Chicago Bears come out on top against their division rivals this weekend as the Green Bay Packers are just a better all around team and firing on all cylinders right now.